Collins Booksellers - Applications of Turbulent and Multiphase Combustion by Kenneth Kuan-yun Kuo & Ragini Acharya, 9781118130704. Buy this book online. An understanding of turbulence, combustion, and multiphase reacting flows is essential for engineers and scientists in many industries, including power genera-tion, jet and rocket propulsion, pollution control, fire prevention and safety, and material processing. This book offers a highly practical discussion of burning behavior and chemical processes occurring in diverse materials, arming readers with the tools they need to solve the most complex combustion problems facing the scientific community today. 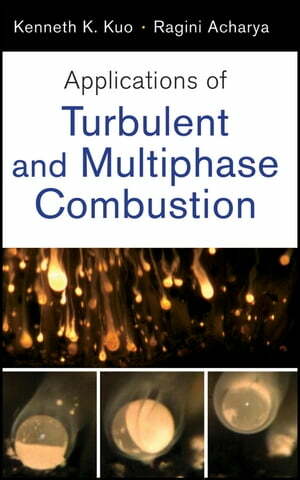 The second of a two-volume work, Applications of Turbulent and Multiphase Combustion expands on topics involving laminar flames from Professor Kuo's bestselling book Principles of Combustion, Second Edition, then builds upon the theory discussed in the companion volume Fundamentals of Turbulent and Multiphase Combustion to address in detail cutting-edge experimental techniques and applications not covered anywhere else. Engineers and researchers in chemical and mechanical engineering and materials science will find Applications of Turbulent and Multiphase Combustion an indispensable guide for upgrading their skills and keeping up with this rapidly evolving area. It is also an excellent resource for students and professionals in mechanical, chemical, and aerospace engineering.